Your garden is your own private piece of mother nature’s bounty. It’s your refuge from the world and all its problems. It’s a place in which you can relax, unwind and meditate while surrounded by nature’s subtle perfumes. We all have a slightly different idea of what makes the perfect garden. Some will use their garden as a resource to grow delicious and nutritious food for their families. Others will use it to make a statement, filling it with a dazzling array of plants and statement pieces like water features to wow guests. Others will simply aim to create an outdoor haven in which they, their family and guests can be at peace, sip lemonade, read a book and simply enjoy the psychological and spiritual benefits that come with being surrounded by nature. For these people, some form of water feature is a wonderful way to not only make a statement but add to the soothing ambiance of their outdoor space. 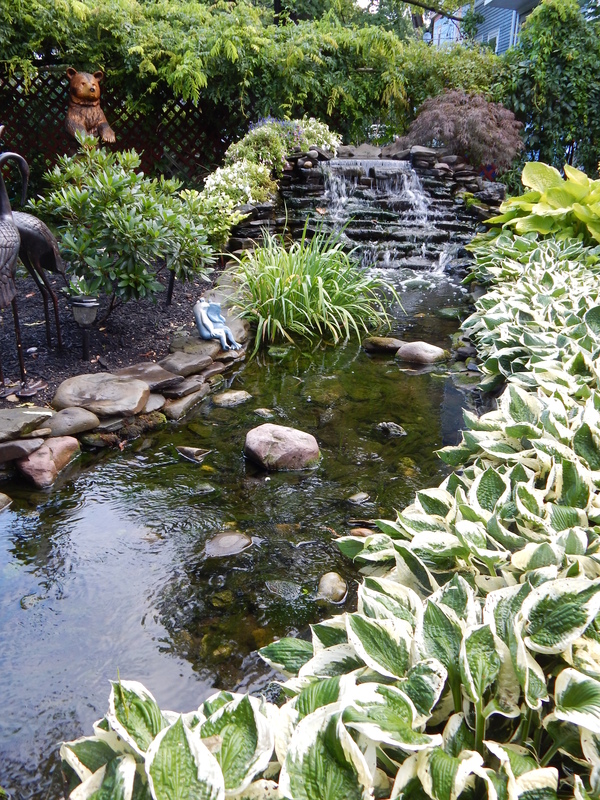 We all find proximity to water relaxing and a pond is a wonderful way to add character to your garden while also enhancing its relaxing and restorative qualities. 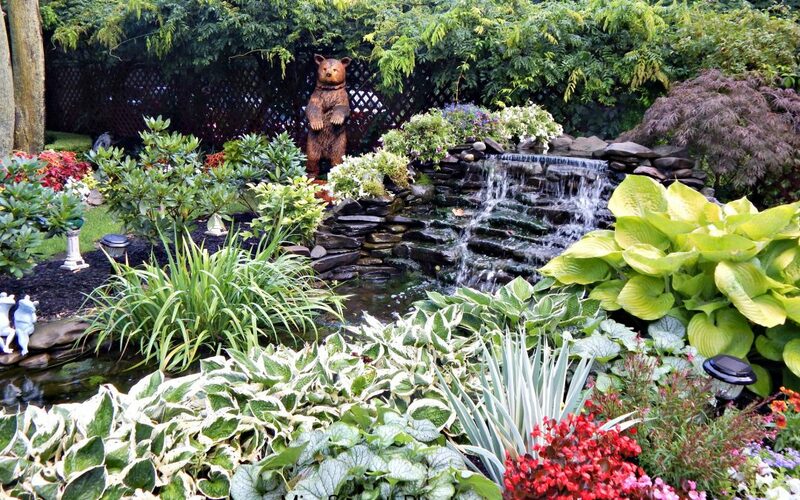 Think adding a pond to your garden will be too much hard work? Think again. 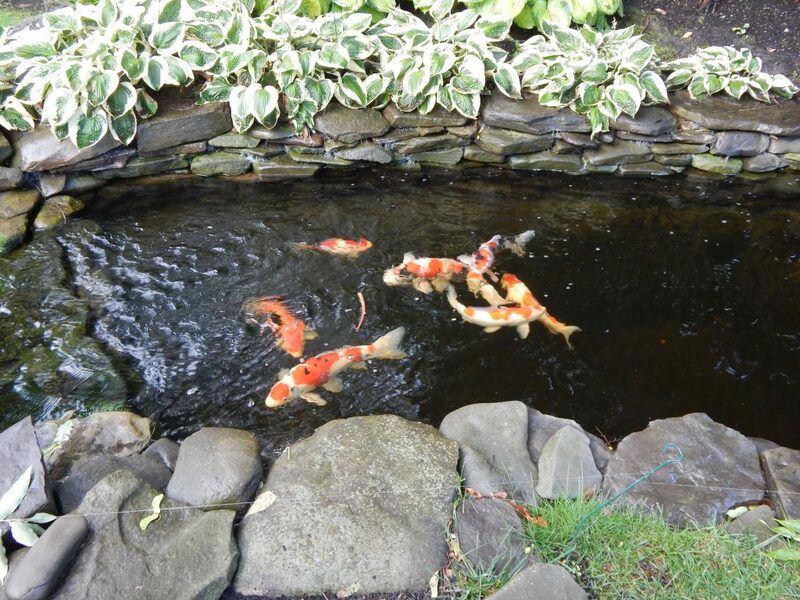 Like anything else, installing your very own pond is easy… When you know how. Pre-made or create your own? If the prospect of installing your own pond makes you a little nervous, you can always opt for a premade pond available in most garden centres. Premade ponds have their own inherent advantages and disadvantages. You are beholden to a particular shape when using a premade pond but they are relatively quick and easy to install and come in a wide range of shapes and sizes. They tend to be smaller and shallower than traditional liner built ponds. As they’re smaller it may be harder to maintain an ecological balance within them, meaning that your pump and skimmer may need to work a little harder. Moreover, smaller ponds are prone to overheating, resulting in disproportionate algae growth. Your first decision is where your pool will go. If you’ve already been to the garden center to check out some premade ponds then you likely have a good idea of the kind of size and dimensions that you will be dealing with. If you’ll be starting from scratch using impervious lining, you will have more freedom in deciding your dimensions. Perform a rough check of the measurements and it’s also worth checking in with your local authorities to ensure that there are no underground cables or pipes in the area that may be disrupted by your excavation. When you have decided on your location, mark out the dimensions of the pond in rope or spray paint. It’s more than likely that you will need a water pump and skimmer. You can check out a selection of pumps for your pond right here. Place your pump and skimmer at opposite ends of the pond. If you’ll be using a waterfall filter, install this at the opposite end from your skimmer. Now it’s time to roll up our sleeves. Dig your pond area approximately 6-8 inches deep. If you’ll also be installing a waterfall, use the dirt to build a wall to seal in your waterfall box. If you’re using a premade pond, it’s a good idea to leave around an inch or two of leeway between ground level and the dept of your pond. Once the area has been dug out, use some spray paint to mark out an outline for the deeper area of your pond. The size and shape are entirely up to you, but since will be filled with rock, it’s a good idea to avoid tight curves. The inner area should be excavated to a depth of around 2 feet. Finally, excavate a separate area for your skimmer box. Plan so that the skimmer opening will be around 1″ above water level. Install your skimmer and pump and connect an outflow pipe to the back of the skimmer. Again, assuming that you haven’t opted for a premade pond, it’s now time to lay down the liner. But first we need to add a layer of underlay, working it into the rough corners of the pond. The best bet is to start at the middle and work your way outwards. The pond will move and settle over time so it’s a good idea to lay it down fairly loose. If you’re at all unsure there’s a great tutorial video here. Repeat the process again with your pond liner. Attach the liner to your skimmer box using the faceplate. Now it’s time to rock! Put larger boulders down first for structural support, and mark out the pond’s vertical walls. Next, fill in with smaller rocks, starting from the bottom and stacking on the inside of the pond. There’s no real right or wrong way to do this. It’s time to get creative, and feel free to rework the area as much as it takes to get it right. Attach your liner to the water box and use a layer of gravel to fill in any gaps in the rocks and boulders. Before you fill the pond now is the time to add any lights you may want to nestle between boulders or add bog plants or lillies. You may also want to apply a fish friendly waterfall foam to fill in the gaps between rocks in your waterfall area. This will lend it structural support and help to encourage water flow. While the pond is filling with water, go around the perimeter trimming off your lining. Leave a margin of around 6 inches which you can then cover with gravel for a seamless appearance. Et voila! A perfect and peaceful pond! Now it’s simply a matter of choosing the right fish! Garden Ponds give that special something to any outdoor space, but require a little work to make them truly exceptional features. Maybe your Pond is looking unhealthy, out of place, or perhaps it just requires a few small additions to make it at home in your garden .